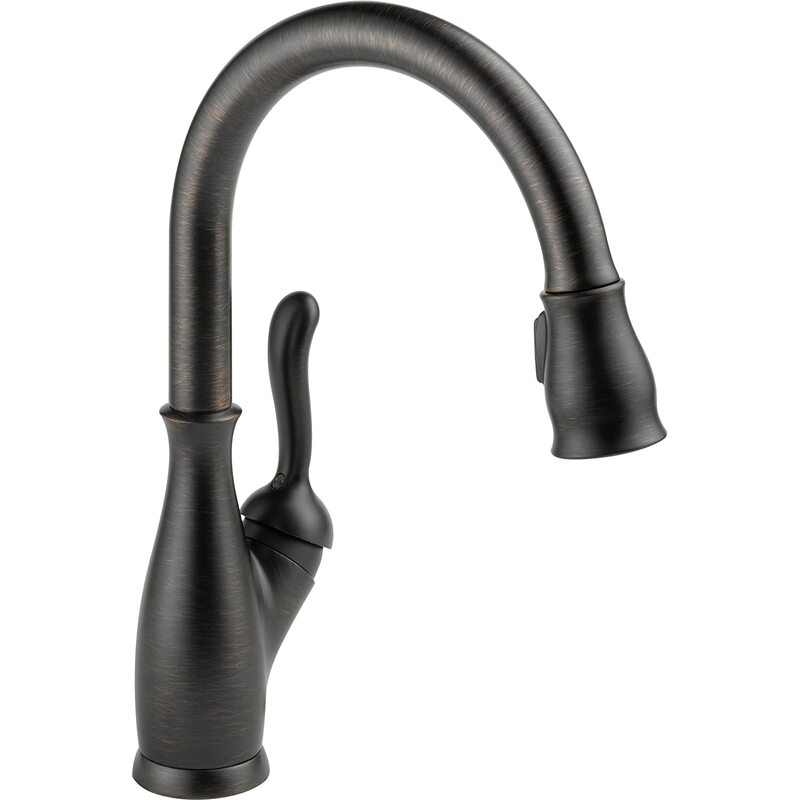 Bar/prep faucets go beyond the kitchen, to butler's pantries, morning kitchens and more. 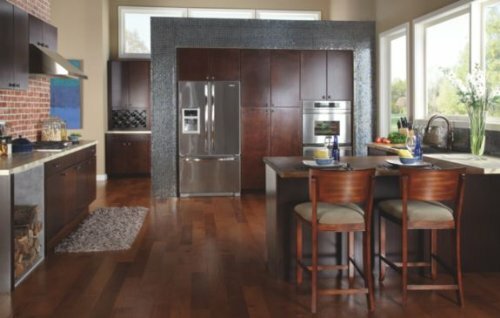 With Leland, traditional styling and modern functionality come together in dramatic fashion for a timeless look. The Delta-exclusive MagnaTite docking system keeps the spray wand securely in place for picture-perfect grace. Put water right at hand. 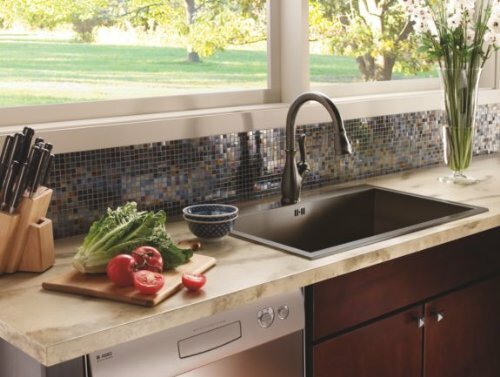 Nobody offers a wider range of pull-out and pull-down kitchen faucets. Delta's exclusive DIAMOND Seal Technology uses a valve with a tough diamond coating to bring you a faucet built to last up to five million uses. Plus, it keeps water inside the faucet out of contact with potential metal contaminants. Who knew a faucet could be just as beautiful on the inside? Diamonds are the hardest substance known to man, and DIAMOND Seal Technology takes full advantage of this property. Delta's exclusive DIAMOND Seal Technology uses a valve with a tough diamond coating to bring you a faucet built to last up to 5 million uses - plus it keeps water inside the faucet out of contact with potential metal contaminants. 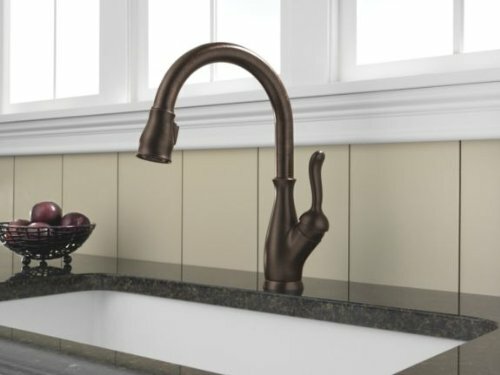 The Delta Faucet Company creates products with the highest level of quality and technological advancement. Their products and services offer the highest levels of design, performance, and aesthetics. Delta's 9178-dst Leland single handle pull-down kitchen faucet in chrome is part of a charming teapot-inspired series of faucets for the entire home, faucets with timeless designs, a perfect marriage of both form and function. The high-arc spout swivels 360 degrees for complete sink access and the pull-down spray wand features a 59-inch hose providing a 20-inch reach. The single handle control provides ease of operation with one hand and the optional escutcheon for three hole mounting is included. 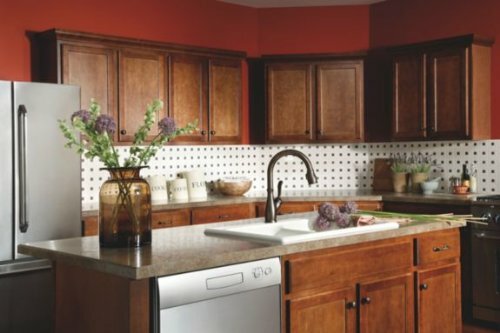 The faucet is ADA compliant and has a manufacturer's lifetime faucet and finish warranty.